California voters overwhelming approved Proposition 14 during the state's June 8 primaries. The measure will replace traditional party primaries with wide-open elections in 2011. The top two vote-getters, no matter their party affiliation or lack of one, will face off in the general election. While supporters intend for the measure to increase political participation in the electoral process, especially among moderates and independents, Emory political scientist Alan Abramowitz forecasts more of the same partisanship among voters. "I predict that if this is implemented it will have no effect on partisanship and polarization because the fundamental cause of these is that the electorate is deeply partisan and polarized. Tinkering with the election rules doesn't change that," Abramowitz says. "So now we'll get a runoff election in November between the top two candidates who will almost always be a liberal Democrat and a conservative Republican although in a few strongly Democratic or (less likely) Republican districts you could get a runoff between two liberal Democrats or two conservative Republicans." 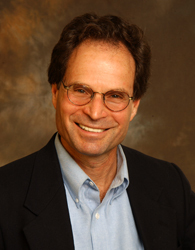 Abramowitz is author of the recently released "The Disappearing Center: Engaged Citizens, Polarization and American Democracy" (Yale University Press, 2010) and a renowned expert on national politics, polling and elections. His expertise includes election forecasting models, party realignment in the United States, congressional elections and the effects of political campaigns on the electorate.